Your home is your space. Nowhere else is more important for expressing your personality and creating a space for your family that is comfortable and enjoyable to be in. A powerful way to create your special environment is through the color of paint in your home. Clean and beautiful paint can make a huge difference in the appearance of your home and impress family and friends and other visitors. Few other investments bring a better ‘bang for your buck’ than a new paint job. 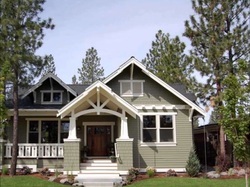 Repainting your home can be challenging. Our job is to get to those hard to reach loft ceilings and leave your home with those crisp perfect paint edges. Whether it is a new accent walls or putting a new coat to brighten up your kitchens, we can get it done. The biggest challenge for painting is the prep work such as sanding, taping, filling holes, etc which can be extremely tedious for the inexperienced, but come easy to the well trained and highly skilled professionals at Provo Painters. Getting an even coat of paint is also difficult for those who have not been well trained and experienced. Rather than spending your time at the paint store buying rollers, brushes, tape and other supplies, trying to decide which equipment is the best for your home paint job, our painting experts take care of the work and you can instead relax. That's our job! We know which tools, equipment, supplies and methods will provide your home with the best results possible. Not only will we free up your precious time to spend with your family care free, when complete, our paint will provide your house with a “brand new” look. 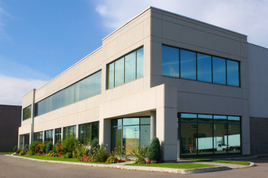 Provo Painters are the painters you are looking for in Utah. 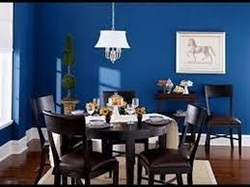 Call us today and rest assured you are getting the best painter for your residential painting job.